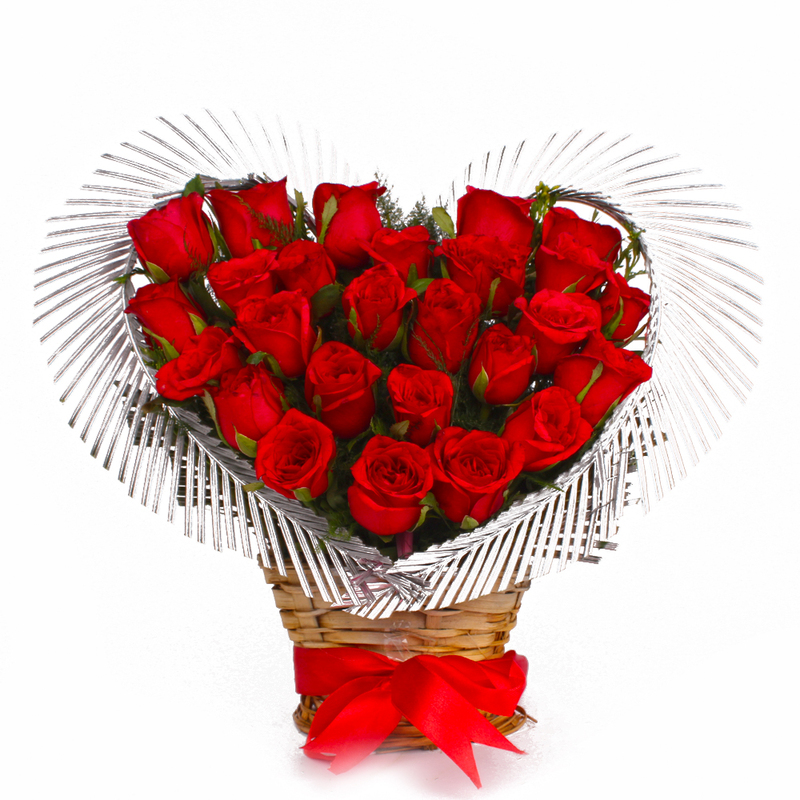 Product Consist : Heart Shape Arrangement of 25 Red Roses. This is very awesome gift item which is all set to make your special someone feel more special. 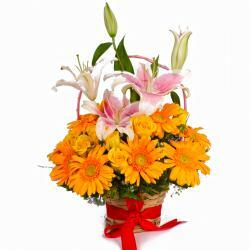 This gift combo is comprises of a twenty five in a heart shape basket arrangement. 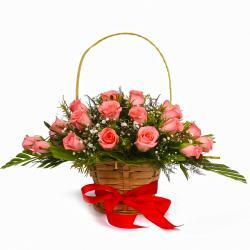 You can gift this beautiful heart shape arrangement in basket to your girlfriend on this Valentines Day. 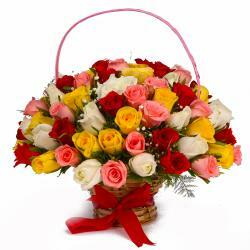 Red Roses Flower has meanings as per their color and number. Your girlfriend will blush more after receiving such a beautiful present from your side. Give romantic surprise on Birthday, Anniversary, Romantic, Valentines Day, Missing You and many more. So go ahead, place your order now. 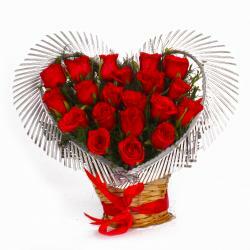 Product contains: Heart Shape Arrangement of 25 Red Roses.